The firm was first incorporated in 1930 as the John M. Farley Company and provided professional engineering and land surveying services throughout Massachusetts. 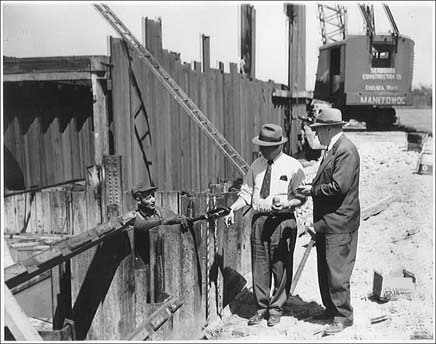 The John M. Farley Company went on to become the Leonard S. Wegman Company during the early 1930’s. On a separate track in 1938, John Hayden established the engineering firm of Hayden, Harding, and Buchanan Company. This firm prospered and established offices in Boston and several other New England cities. In the early 1970’s, the two firms merged to become Hayden-Wegman, Inc.
On September 1, 2000, the Boston operations of Hayden-Wegman were purchased and reorganized to become C&C Consulting Engineers, LLC. Shortly thereafter, the reorganized firm became certified as a Disadvantaged Business Enterprise (DBE) and/or Minority-Owned Business Enterprise (MBE) in the Commonwealth of Massachusetts and the states of Connecticut, Maine, Vermont, New Hampshire, and New York. C&C is also 8(a)-certified by the US Small Business Administration, and we have been certified as a Small and Local Business by the City of Boston. C&C has grown tremendously over the years and our client list now includes all statewide infrastructure agencies in Massachusetts including the MassDOT, MBTA, Massport, MWRA, BWSC, City of Boston, and the Massachusetts Division of Capital Asset Management. We also serve a number of federal agencies including the Food and Drug Administration, US Department of State, Massachusetts Air National Guard, and the US Army Corp of Engineers.